Little brother of the 88, the Monster 83Ti is a superb All Mountain Ski for those who in reality will be skiing predominantly on piste, albeit in a variety of snow conditions. Yes you can ski them off piste but for serious off-piste skiing, go wider. We slightly preferred these 83's to their bigger brothers the 88's, not least because they felt just marginally more manoeuvrable. Super smooth with great edge hold and a driving ability to power through the chop and the crud especially on those cold March and April mornings when last night's slush is this morning's frozen chop. 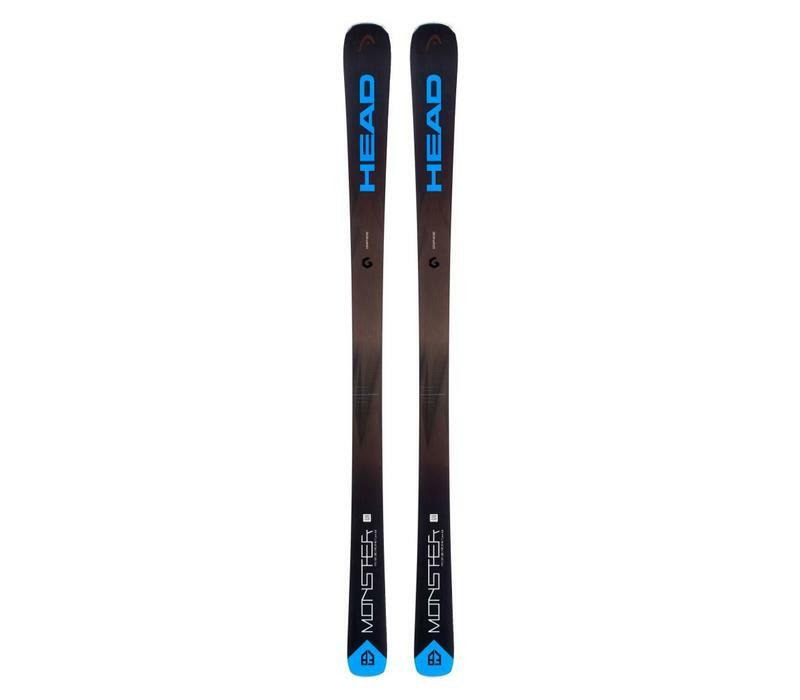 Not as light as the Kore series but not now a heavy ski, the graphic on these are super cool and understated making for a fabulous overall package of both performance and looks; highly recommended by the Snowfit Test Team of staff and customers alike. Just like you, the Monster 83 TI is ready for some fun on the mountain. This all ride ski shares your sporting ambitions: on any terrain. Ski on and off-piste as if on rails. This is a ski born to deliver high speed with a longer radius. If you are planning your next adventure in the western Alps, this has to be the ski to take you there.